What does it mean when you dream about a basket? For traditional psychiatrists, baskets, like almost any receptacle into which something can be put, can represent the female principle. Baskets have more general connotations with harvests, babies, baked goods, and so forth, any of which could be indicated, depending on what the dreamer sees in the basket during her or his dream. An empty basket, on the other hand, can symbolize a feeling of emptiness or a sense of lack. (See also Bag). A lightweight container with perforations. A type of single-tube core barrel made from thin-wall tubing with the lower end notched into points, which is intended to pick up a sample of granular or plastic rock material by bending in on striking the bottom of the borehole or solid layer; may be used to recover an article dropped into a borehole. Also known as basket barrel; basket tube; sawtooth barrel. 1. The body of a Corinthian capital or a Composite capital, with the foliage removed; also called a vase or basket. 2. 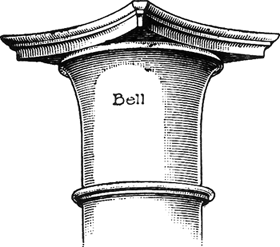 The portion of a pipe which is enlarged to receive the end of another pipe of the same diameter for the purpose of making a joint; also called a hub. Suddenly, the stranger woman whom we have described, and who had, in the course of her work, come near enough to hear Tom's last words, raised her heavy black eyes, and fixed them, for a second, on him; then, taking a quantity of cotton from her basket, she placed it in his. What on earth is that at the bottom of your basket, Cecily? Bullfrog," said my wife, coolly taking the basket from my hands and replacing it on the front seat. Good went next, and I came last, carrying the basket, and on reaching the bottom lit one of the two remaining matches. But the incident on her waking this morning heightened her dread of that time when her money would be all gone; she would have to sell her basket and clothes then, and she would really look like a beggar or a wild woman, as the man had said. Grimaud understood that it was to be a breakfast on the grass, took the basket, packed up the viands, added the bottles, and then took the basket on his arm. The old man, who seemed to understand what she wanted, vanished into the house, and returned bringing a large jar of wine, which the porter placed in his basket. Her hands were small, and she kept them folded over the handle of her basket. I am glad," said Lady Middleton to Lucy, "you are not going to finish poor little Annamaria's basket this evening; for I am sure it must hurt your eyes to work filigree by candlelight.